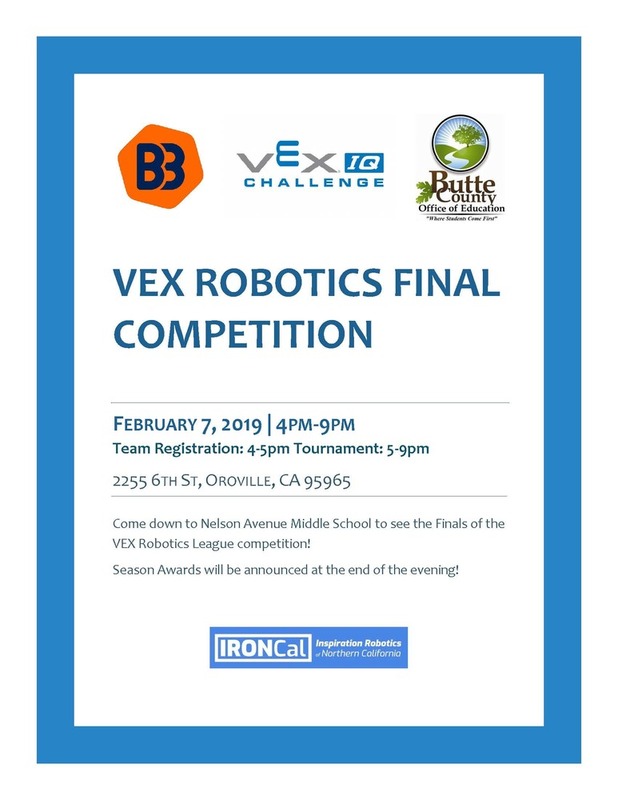 The VEX Robotics Final competition is being held at Nelson Avenue Middle School on February 7th. Team registration begins at 4pm, and the tournament begins at 5pm. Come down and support! Season awards will be given out at the end of the evening!